Here, from the Golden Age of the Mini-Series, is one of those big, multi-star affairs which spans decades and which blends a number of sub-plots into a kind of historical panorama. True, it's all a bit superficial and there's more than a touch of soap-opera in the proceedings, but when one says, "They don't make 'em like this anymore," one says it with regret. 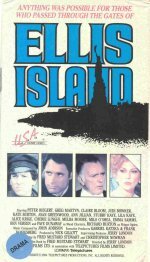 The story-line runs from just after the turn-of-the-century through World War I and it centers on a Jewish immigrant from Russia who becomes a successful Broadway songwriter, a handsome Italian who moves from gigolo to politician, and two young women from Ireland, one of whom becomes blind and one of whom has a dark secret in her past.